C.E.T. 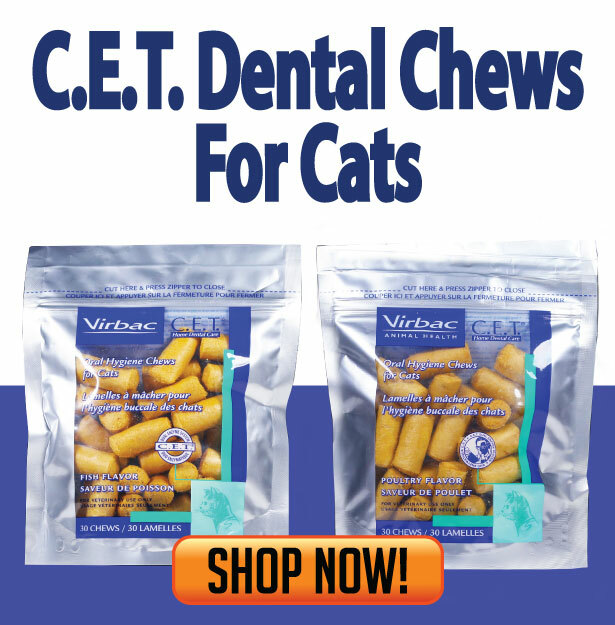 chews reduce the amount of plaque and tartar build-up in pets when used as a daily chew. As an alternate to brushing your pet's teeth on a daily basis, or better yet used in conjunction with brushing your pet's teeth, C.E.T. chews help keep teeth clean and breath fresh. Chlorhexidine is released during the chewing action of the treats, allowing for up to 24 hours of cleansing action. Good oral hygiene is particularly important for diabetic pets. Oral infection from plaque and tartar build-up can result in insulin resistance. C.E.T. 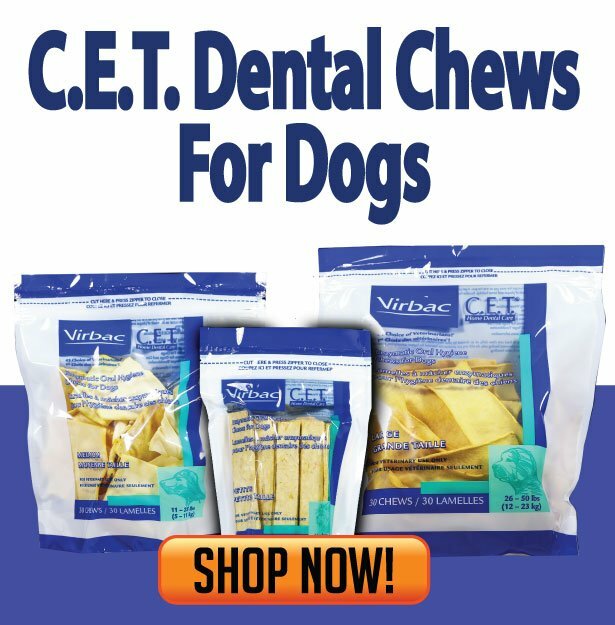 chews are available in a wide range of sizes to perfectly accommodate your pet. Sizes include petite, medium, large, and extra-large.